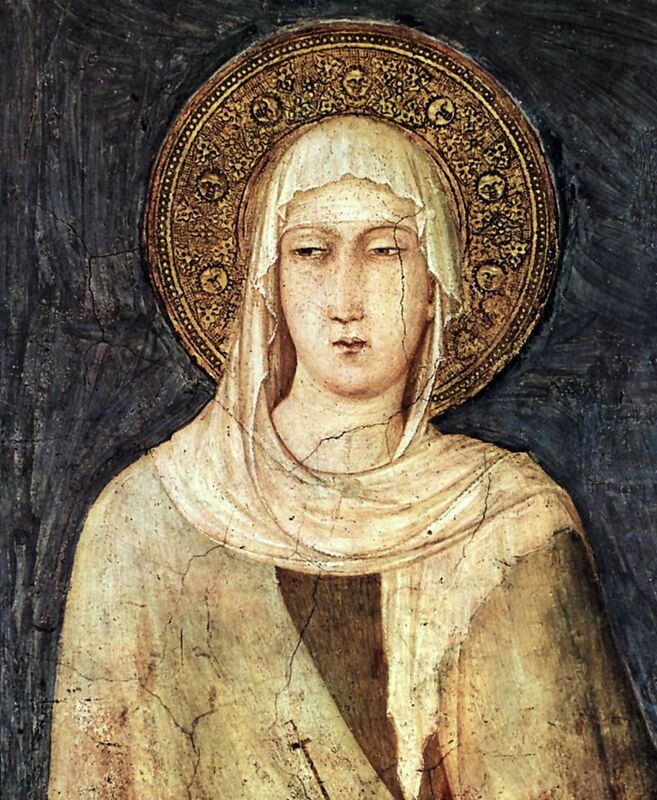 Clare of Assisi (1194-1253), founder of the Poor Clares, in a painting by Simone Martini (1284-1344) in the Basilica of San Francesco d’Assisi. From July 12-15, 2016, the Franciscan Institute at Saint Bonaventure University will host a major conference dedicated to women and the Franciscan Tradition, ranging from the Middle Ages to the contemporary world. The organizers seek to bring together women and men who are living the Franciscan tradition in various ways — as members or associates of the three Franciscan orders, coworkers in Franciscan institutions, etc. — with academic scholars who want to bring their research into a mutually enriching conversation with a broader audience. Individual papers, panels, and workshop proposals are sought that engage academic, pastoral, and socio-political aspects of this topic. Franciscan Women and the Contemporary Church.